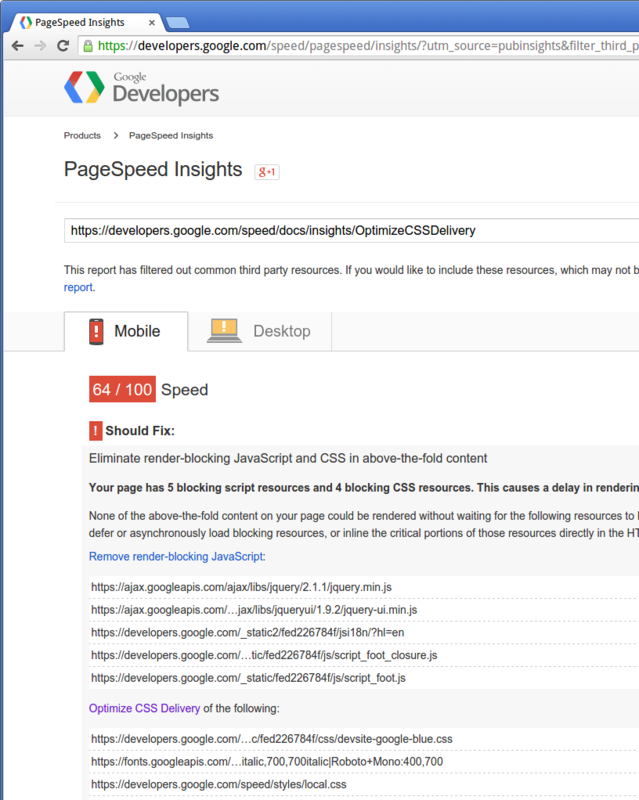 Google has a PageSpeed service. That is, you submit a URL, and it returns a score of how fast the site is. For a long time, i didn't understand how my site don't get 100 score. 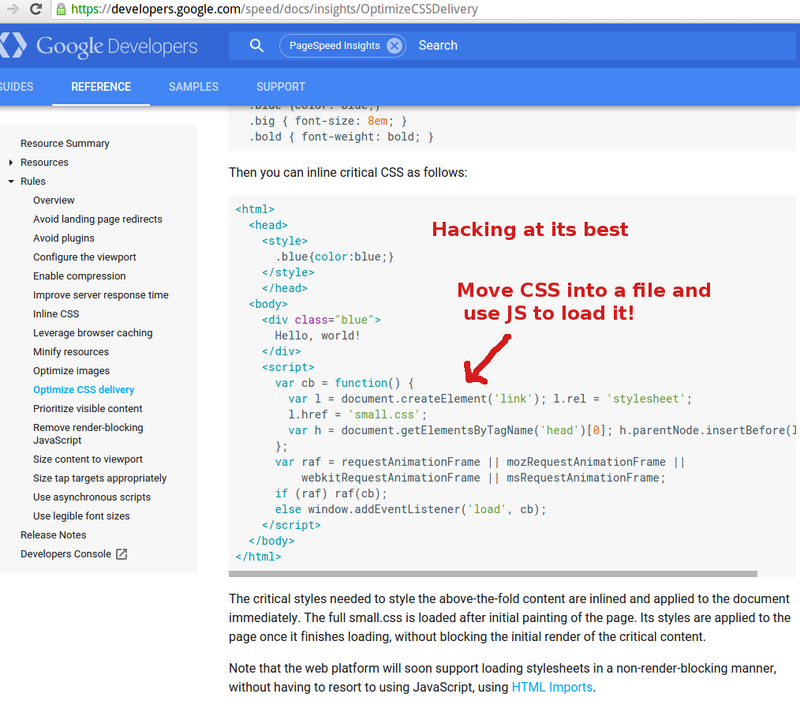 Specifically, it claims that i should move some “render-blocking CSS”. My site's CSS size is a fraction of other major site's CSS, and much simpler too. How can i possibly fix “render-blocking CSS”? Then, after testing some other web development focused big tech sites (such as StackOverflow), you realize, other sites have score below mine, including Google's own tutorial sites about how to optimize pages. Haha. Also, try some other popular sites. This is, like, hacking gone backwards. What's the Difference Between Tag, Element, Node, Object, Attribute, Property, Method?